The Seagulls and Magpies were caught in trench warfare for the first three quarters at Burbank Oval on Sunday afternoon. A seven goal final term turned a four point three quarter time lead into a 32 point victory, ensuring they remain top of the Victorian Football League ladder for another week. 1. I see Red, I see Red, I see Red – Sunday was in no uncertain terms the Anthony Anastasio show and what a pleasure it was to watch. The pocket rocket was instrumental in the victory, with five goals, 22 disposals, a tackle, a few assists (including giving away an opportunity to kick what would have been his sixth goal) and the ability to get under the skin of his opponent. The stats are what they are – phenomenal. The niggle is what impressed me the most. He was able to niggle without doing anything which is going to see him which would put him in danger of missing a game and like most little blokes, his pest status resonated with multiple Magpie players. At one stage in the third quarter he was jammed between two Collingwood players (after kicking a goal), both of whom were trying to gain a reaction, but in typical Red fashion he darted away leaving the Magpies more frustrated. Having a player like Anastasio who can throw the opponents off task is going to be vital in the lead in to the finals and what looks like it could be a minor premiership deciding clash against Box Hill in the last round of the home and away season. 2. Countering the Magpie strength – Within the first five minutes of the game the Magpies had asserted their dominance in the defensive 50. (At least) Six uncontested marks for the Magpies in first quarter was vital in restricting the Seagulls to a pair of behinds in the first time. This caused the Seagulls to change from the more direct route they had taken to shorter passes and a greater weight of handballs. As they scoreboard showed, the move paid off, with the Seagulls clawing to within two points at the main change. 3. Two hands on the ball – Ball security is always important. In the conditions that were offered on Sunday (sun, overcast, a light breeze, blowing a gale and a touch of rain in the final term) it was a factor that changed the momentum on several occasions. Where the home side, with their knowledge of the conditions focused on locking the ball in and going to the men in space, the visitors played fast and loose, at their peril., most notably the turnover goal from their half forward line in the third quarter. 4. 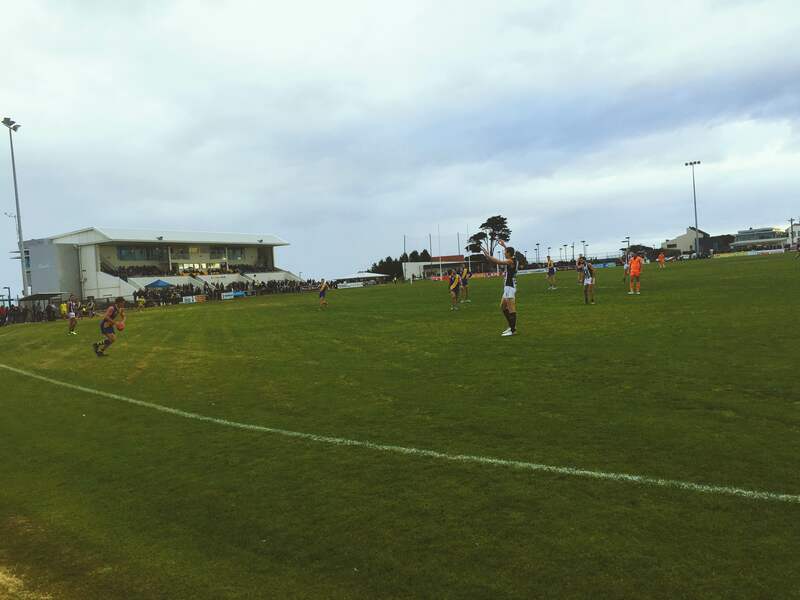 Keeping calm under pressure – Throughout the first three quarters the Magpies held a two goal or more lead on two occasions. In a game where the two teams combined for 14 goals across the first three quarters, it was a lead that could have set the Magpies up for a much needed victory. The ability of the home side to stay cool in the face of game changing pressure was vital, as was their ability to release the pressure valve in the final term. 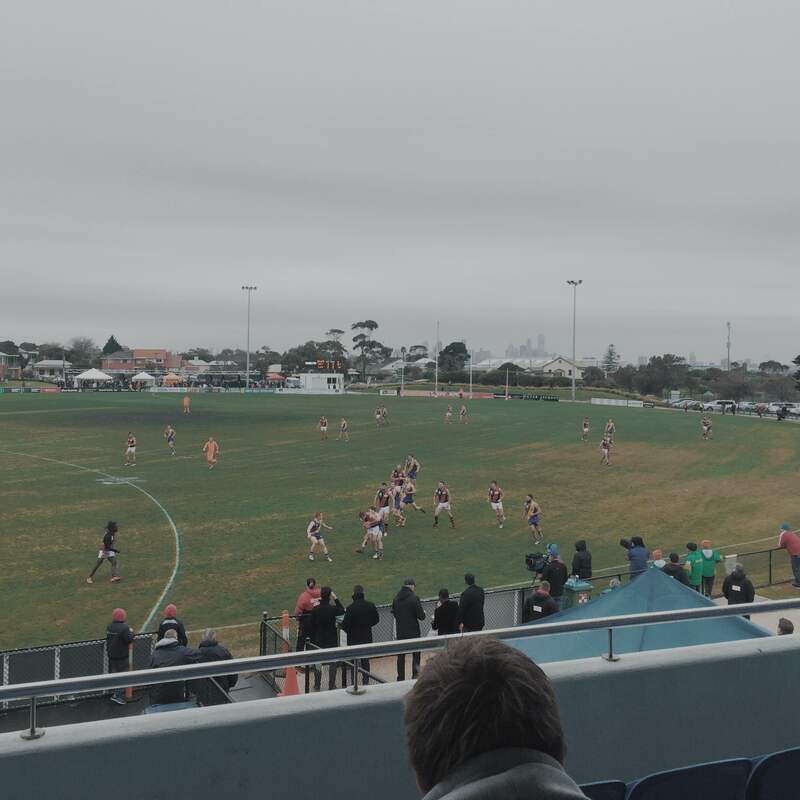 The Williamstown Seagulls got their first television appearance of the season on Saturday afternoon and didn’t disappoint with a 44-point statement victory over the Essendon Bombers at Burbank Oval. 1. Collins half-time spray – I’d love to know what Andy said to the side at half time. There appeared no way back at half time with the side lacking confidence going forward, confidence that had been a trademark of their performances all year. The third quarter was a quarter for the ages. It not only showed why every other team in the league should be scared of what the Seagulls can do, but it demonstrated the philosophy that Collins is working towards. 2. 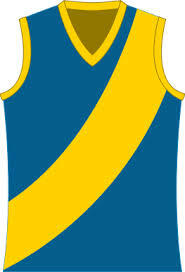 Wet weather footy – With Burbank heavy underfoot, possessions were more vital than ever on Saturday. For Andy Collins the message at the first break was to handball rather than use the short kick. 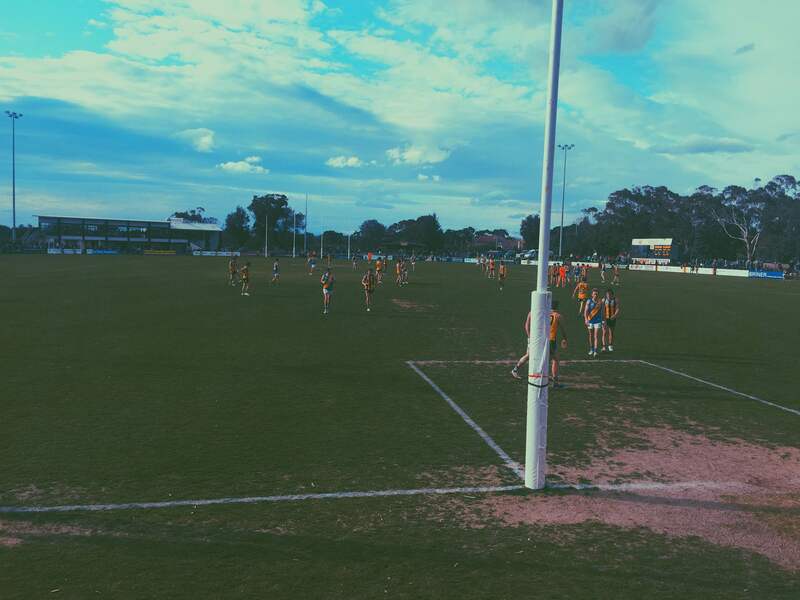 The Seagulls had 85 more disposals on Saturday, out-handballing the Bombers 149-78. Moving the ball by hand caught the Bombers off guard and allowed the home side to stretch their dominance. 3. Accuracy in front of goal – 28 scoring shots for the Seagulls has been fairly standard this year (The only times they’ve had less were the Northern Blues in round one (25) Werribee in round five (24) and Box Hill in round ten (20)), but what they did with the scoring shots was vital. 20 goals and eight behinds is enough to ensure you’re going to pick up the points every week. With a potential percentage booster looming against the winless Frankston this Saturday, the Seagulls will be hoping for a repeat performance to climb back to the top of the ladder. 4. Family fun – I’m not talking the family fun activities that are on for the kids every week. 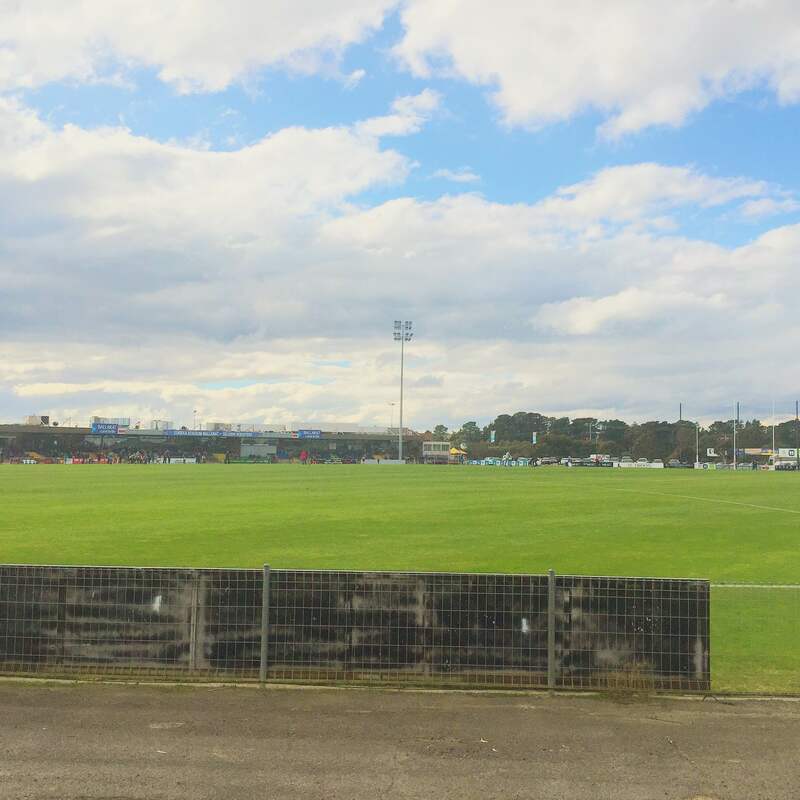 With school holidays being on my parents were down for a visit and it was great to take my dad to his first Williamstown game after sharing many a spirited discussion about the club on the phone since I started attending games. The result helped but he came away from the day impressed with how everything unfolded. I’d say that’s a big win.